What it looks like to be inside a structure as the storm demolished it. Just What Box Office Records Can 'Catching Fire' Break? Wait, Jennifer Lawrence Almost Turned Down Being Katniss? More than 1,000 homes in the town of Washington, Illinois, were destroyed this week when a massive F4 tornado ripped through the area. Marc Wells owns one of those homes and filmed the tornado bearing down on his house, creating a record of what it was like to be inside the structure as the storm demolished it. Wells's camera goes dark at around 22 seconds in with his house intact, but you can still hear the wind raging outside. At about 1:12 in the video, Wells and his daughter emerge from their hiding place and find the entire place wrecked. Wells's video is particularly gripping because of the audio. 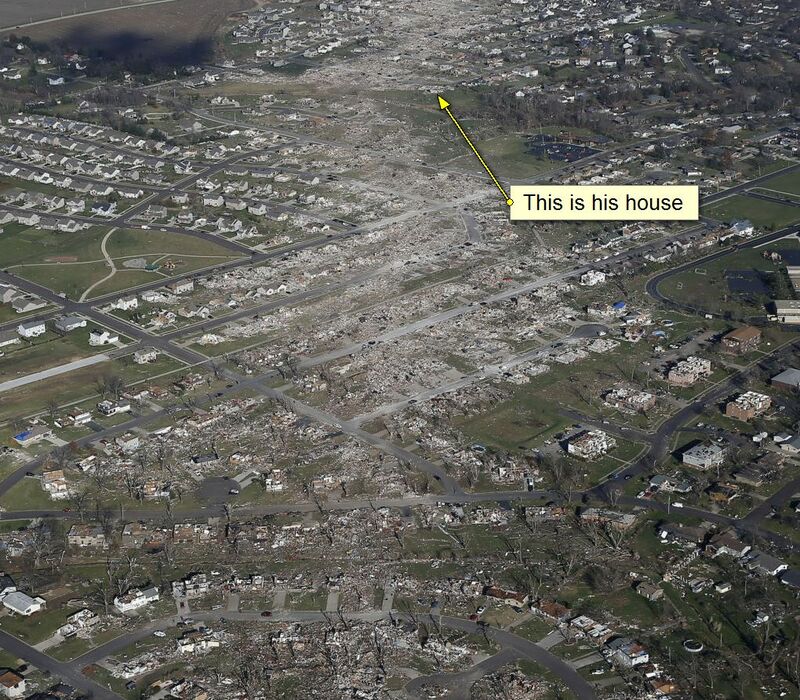 Hearing stories about a tornado's howl is actually different than hearing a tornado absolutely wreck a house. Hearing the voices of the people who the house belongs to, is also searing. And that final shot, where Wells looks at his wrecked neighborhood with the tornado alarms is like a shot out of an apocalyptic blockbuster. That's ... sorta helpful. What's more haunting are the before and after screen caps of what Wells captured. "Very thankful we were not injured," Wells wrote on his YouTube account. Federal and state officials met in Washington on Thursday to coordinate the disaster response.